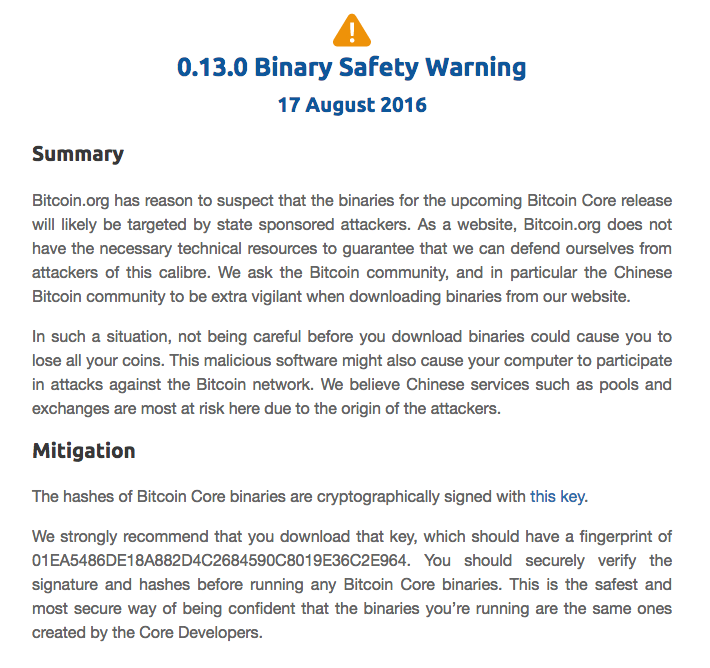 Today, Bitcoin.org site displayed a warning explaining they have reasons to believe the next Bitcoin Core (binary version) will be under some kind of attack. To mitigate the problem, they published the public key which will sign all files and the signer’s fingerprint. For helping to ensure the public key will be the same published by Wladimir J. van der Laan (and not modified by any kind of attack too), we registered a digital signature from the file supplied directly in bitcoin blockchain using the OriginalMy.com platform. 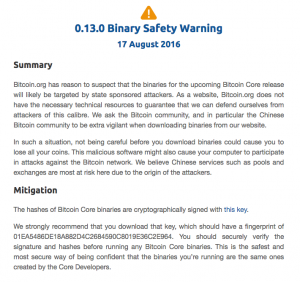 Confirm if the file is the same file provided by Bitcoin.org.